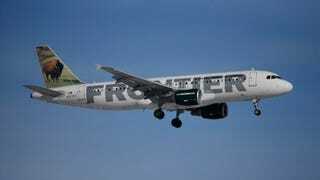 Earlier this week, the American Civil Liberties Union and the ACLU of Colorado filed discrimination charges with the Equal Employment Opportunity Commission on behalf of four pilots for Frontier Airlines. The charges allege that four pilots, Randi Freyer, Brandy Beck, Shannon Kiedrowski and Erin Zielinski, were discriminated against because they were not provided legally required accommodations for breastfeeding and pregnant employees. Freyer told NPR that the airline does not provide adequate and private spaces for pumping breast milk, which is a federal requirement under the Affordable Care Act. Freyer said that, when she arrives at a new airport, pumping rooms are often hard to find or a half-mile walk from the Frontier gates. In one case, the pumping room was being used for storage. She said that, because of the company’s policies, she’s often forced to pump in an airport or in the airline bathrooms. According to ACLU attorney, Galen Sherwin, the lawsuit was a “last resort,” after multiple attempts to work with the airline failed. In addition, the four pilots claim that Frontier was unwilling to work with them to change their flying schedules. While the company says that it reduced flying time after it was requested, the women say that the time in the air isn’t necessarily the issue. Rather, the total length of the flights—including connections—is what makes things difficult. Freyer said that while she tries to plan her flights carefully, she’s been forced to pump mid-flight.